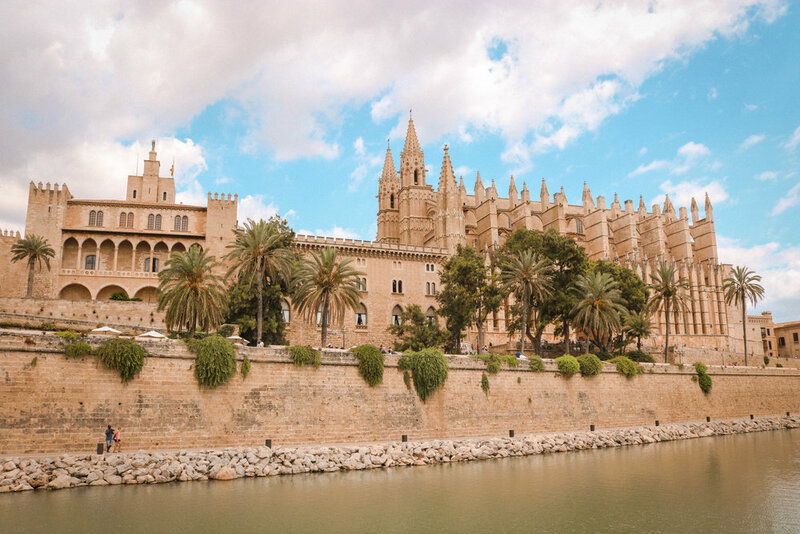 Palma was our first stop in Majorca, we flew in, jumped in a car and drove 20 minutes into the city. It was quite easy to find a car park with the Maps.Me App, and we got a spot pretty close to the old town. As we got off the motorways and into the streets of Palma, I couldn’t help but notice how quiet they were. A lot of the buildings seemed to be closed and abandoned. I was’t sure if we had made a bad decision to come here..
We kept on our way to the car park where there were plenty of spaces! It was an underground one and cost about 5 Euros for a few hours. We wandered through the streets and followed other people until we eventually ended up in the centre of the bustling old town. Although we didn’t have much time here, there is a lot to do! I have a soft spot for Old Towns in general so we just walked slowly through all the cute alley ways window shopping and people watching. Your choices for food is not a worry. There are restaurants and cafes every second store. We found a gorgeous little cafe under the trees in Reina Square, near the water fountain roundabout. 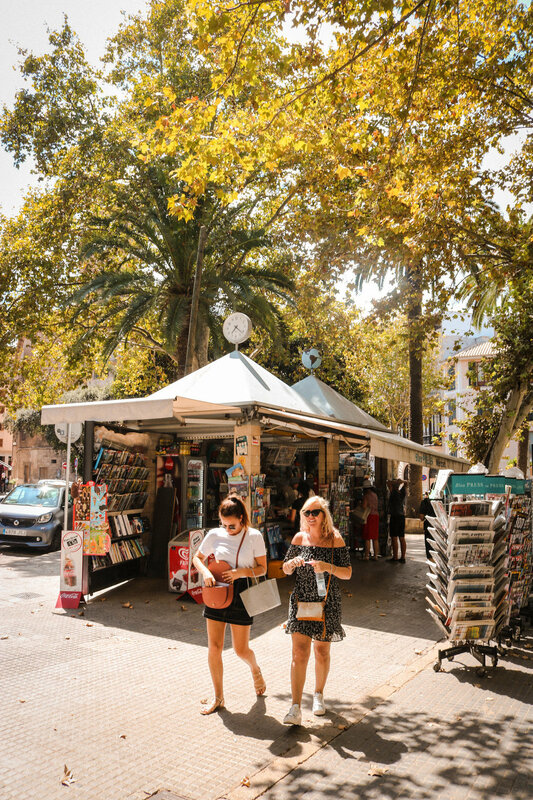 In this area you will also find the famous Plaza de la Reina which is great for a little retail therapy. The Old town is quite small so it didn’t take us long to work our way around it. We were starving for food so we stopped off for lunch at Restaurante Gotic. Normally I research where I want to eat, but we literally just stumbled across this one and thought it looked good enough. It was located just underneath the Cathedral Basilica de Santa Maria de Mallorca. In this area you will also find little market stalls with people selling all sorts of things. I normally try to avoid them as you can easily get ripped off and I’m not very good at haggling. You will see people selling Spanish souvenirs, sunglasses, portraits, food and of course the classic designer copies like Louis Vuitton bags and Gucci belts etc.. Unfortunately we didn’t have time to head to the beach that stretches along the east of Palma as we had other commitments, but I do recommend going for a dip! It’s known as Playa de Palma and you will find it has a beautiful white sand glow with shallow turquoise blue waters. Here, there are also plenty of beach bars and restaurants to feed your appetite. So take your time wandering around and let me know if you find anything else cool for me to add here.